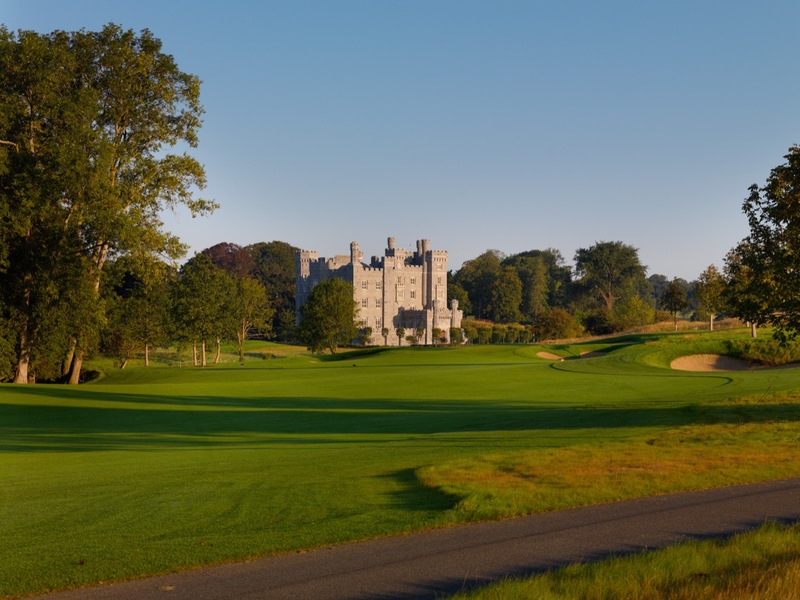 800-year-old Killeen Castle stands watch over a Jack Nicklaus gem at Killeen Castle Golf Club in County Meath Ireland, and indeed Nicklaus calls Killeen Castle Golf Club one of his finest creations. 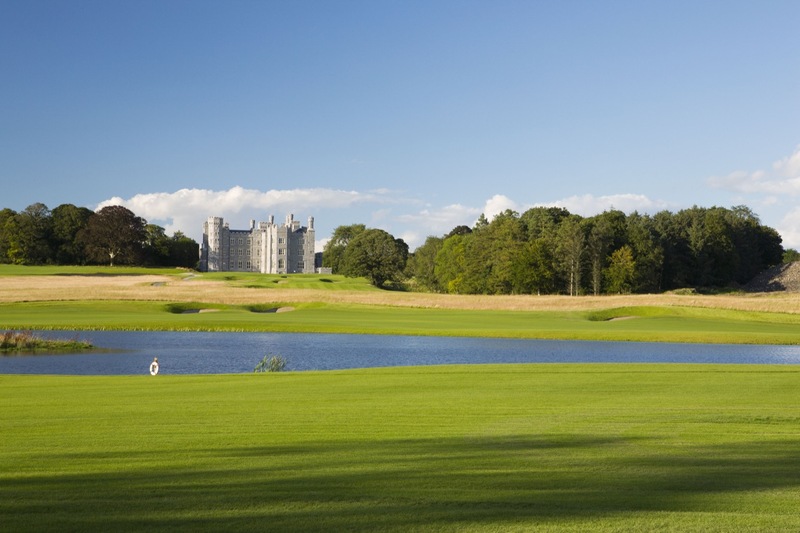 Chosen to host the 2011 Solheim Cup even before Killeen Castle Golf Club was completed, Killeen Castle Golf Club proved to be a great host and staged an exhilarating and memorable competition which was won 15-13 by host Europe. 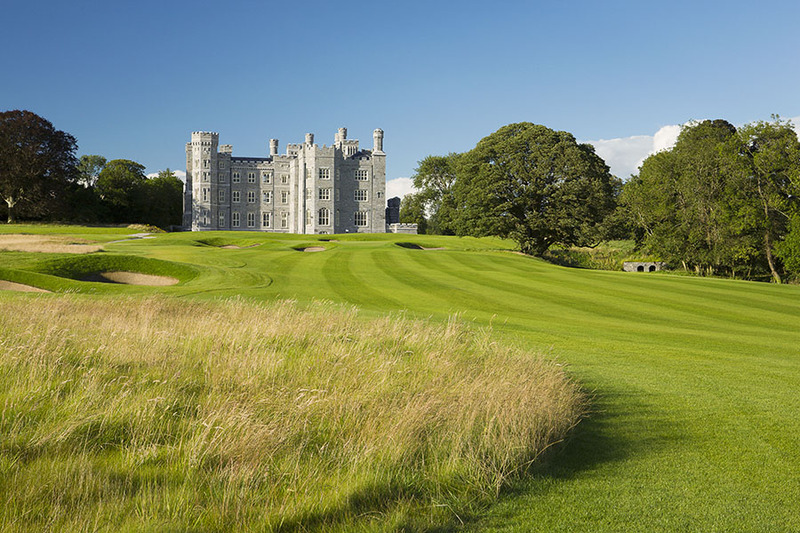 Nicklaus brilliantly used fescue to lend a traditional links look to the Killeen Castle Golf Club parkland setting. 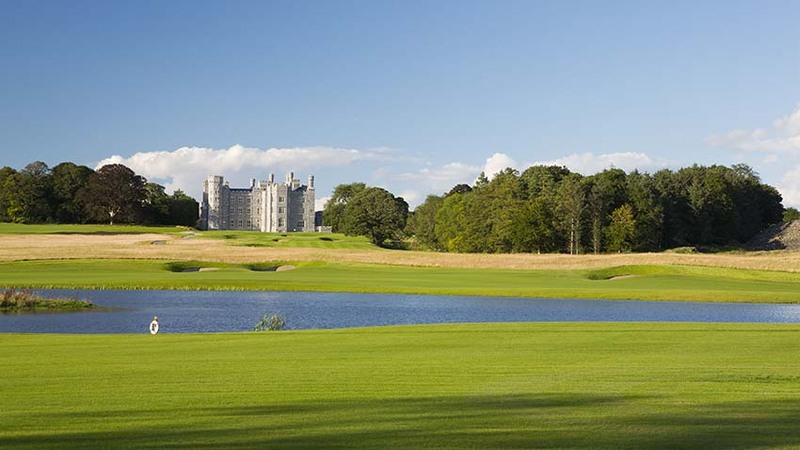 Beautiful lakes dot the property as do some sneaky shored-up streams whose stacked stone walls front some of the Killeen Castle Golf Club greens. 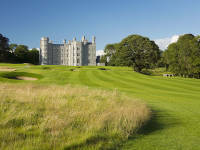 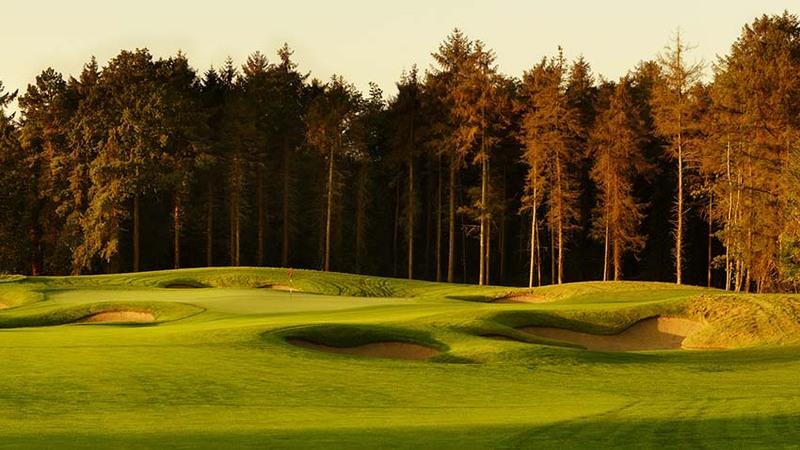 The Dublin area is in our opinion the premier “parkland golf” region in Ireland and all of the British Isles. 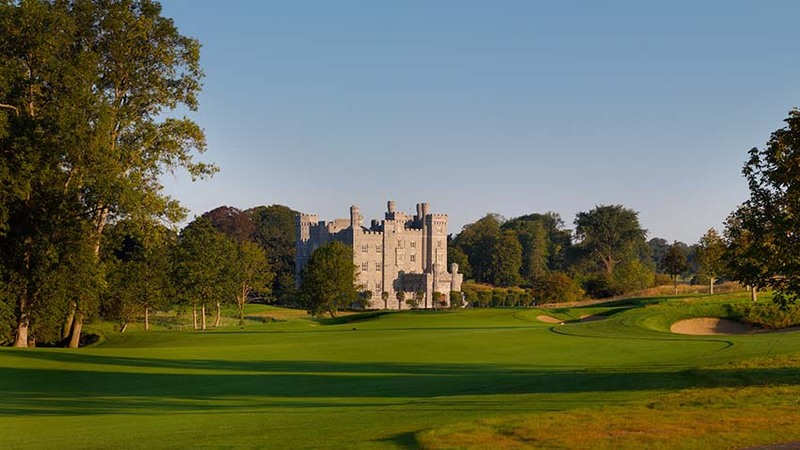 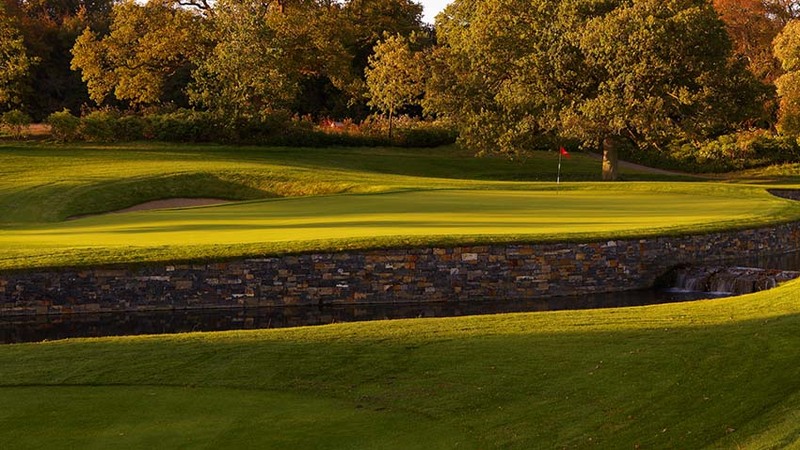 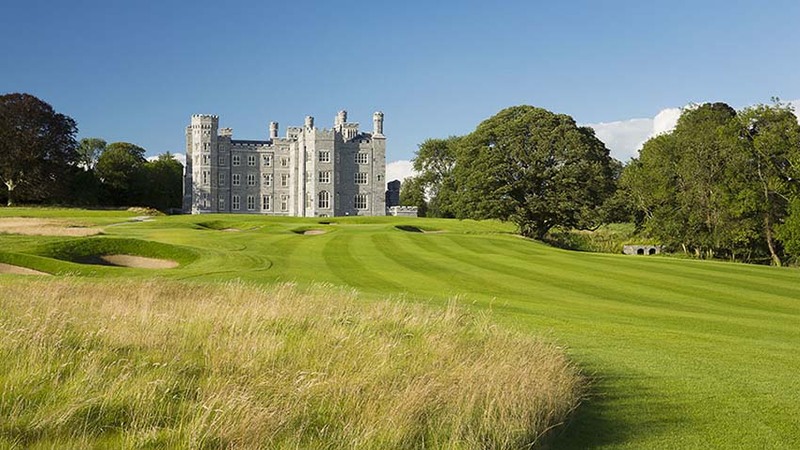 If you’re looking for a challenging round on an immensely enjoyable course with a picture-postcard-perfect 800-year-old castle standing watch, then Killeen Castle Golf Club is the place for you on your Ireland golf tour!